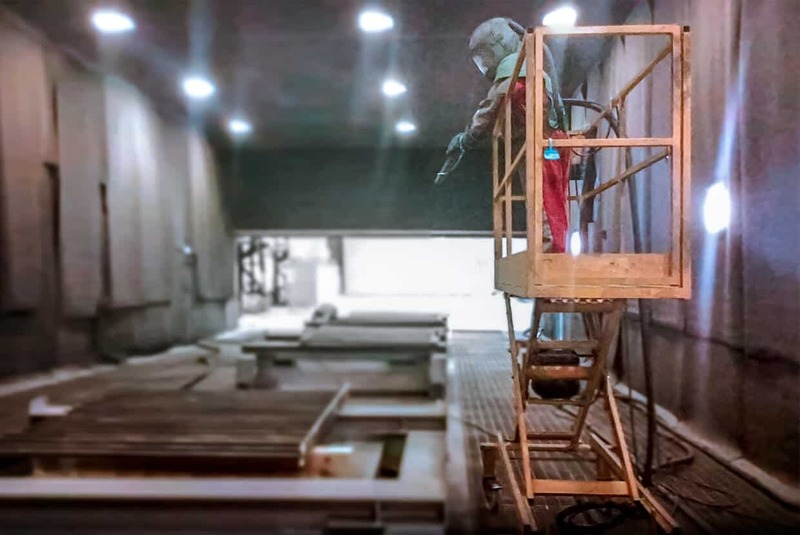 Airblast Eurospray has extensive experience in the design and installation of blasting and painting facilities that meet the specific demands of wind turbine tower manufacturers. 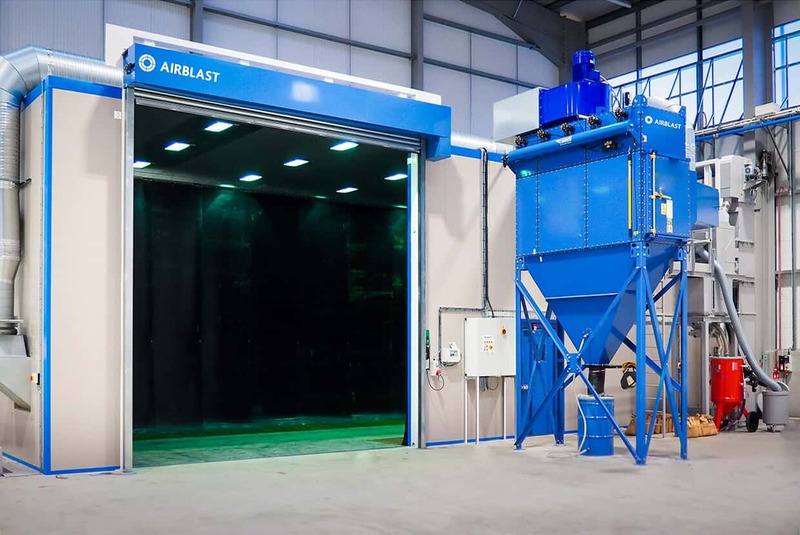 Airblast Eurospray has provided facilities for several leading on and off-shore tower manufacturing site's blast rooms and spray booths. We have a thorough understanding of the challenges involved when preparing and applying coatings to wind turbines and our unique approach offers quality results and faster production rates. Our wind turbine blast and paint facilities utilise the latest technologies to ensure you get the best results. By deploying our full recovery floor system, manual abrasive clean up time is eliminated. 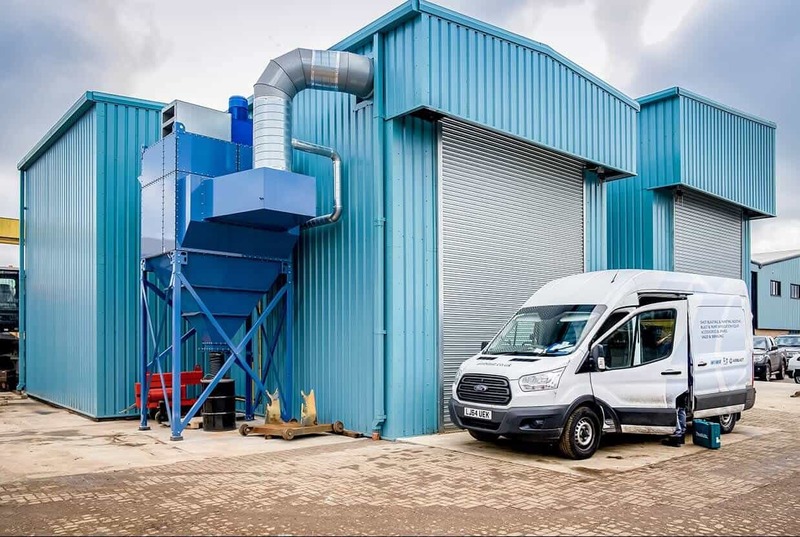 The constant recirculation of abrasive also allows our media classification equipment the time to ensure that abrasive is returned to the blast machine in as-new condition. This greatly benefits consistency of blast profile over the work piece, reducing secondary blasting to areas that on inspection are found to be outside specification. 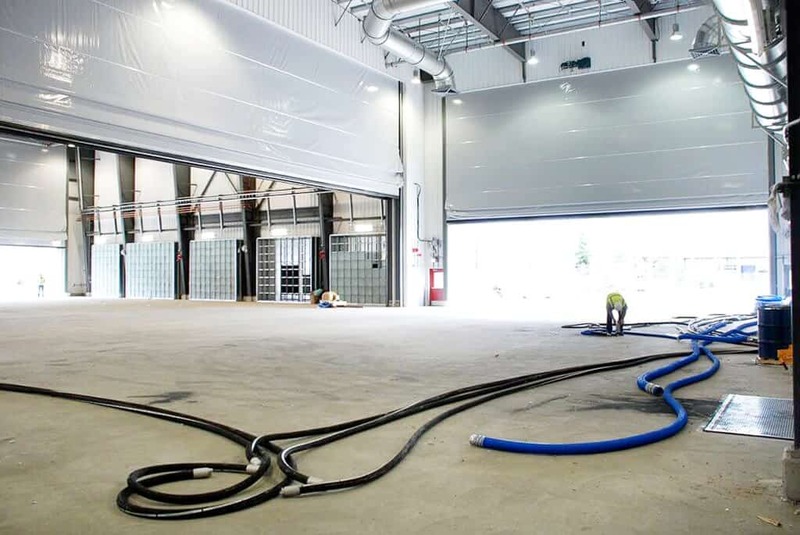 Airblast ventilates all its facilities at a rate of 50ft per minute, horizontal airflow. 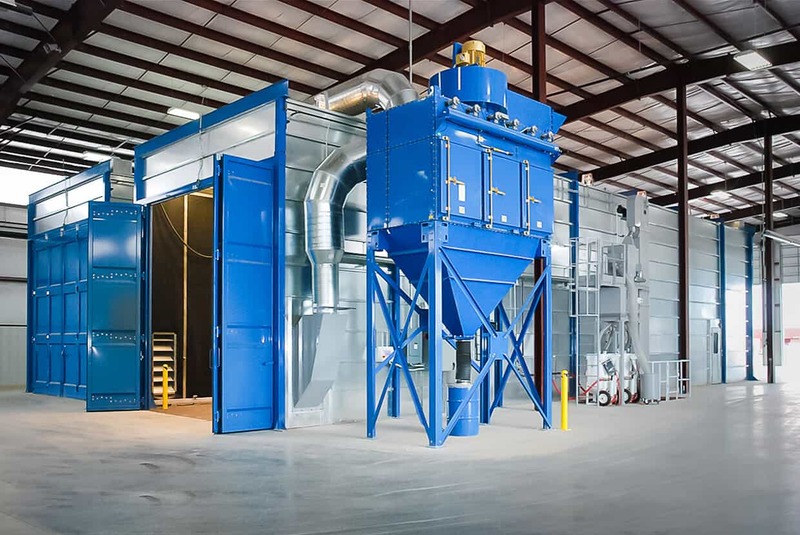 This, combined with attention to detail on replacement air and exhaust air, ensures that almost all dust generated by the process is suspended in the air stream and eliminated prior to media being processed through the abrasive classifier. Airblast Eurospray works closely with blast robotics for automated robotic blasting. We have specific robots designed for internal and external cleaning of wind turbine tower sections, and our wide range of machines gives the same high-quality finish to all turbine parts. Our customers testify that robotic airblasting is the most cost-effective way to clean large workpieces, and is many times more efficient than manual or wheel blasting. Our robots utilise bigger nozzles and higher air pressure, with state-of-the-art automation, creating a tireless worker that can guarantee the highest levels of production and significant savings. They also give unbeatable consistency of surface quality at the desired profile and improve health and safety for operators. 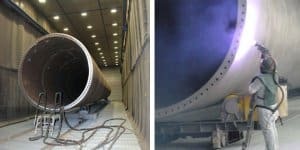 The development of blast nozzles with a “flat venturi” design can as much as double the speed of the blasting process, or alternatively half the air requirement and energy consumption. Insight into the challenges faced when applying coatings to a wind turbine tower led to the development a unique air control system that ensures excellent airflow both around the exterior and through the interior. 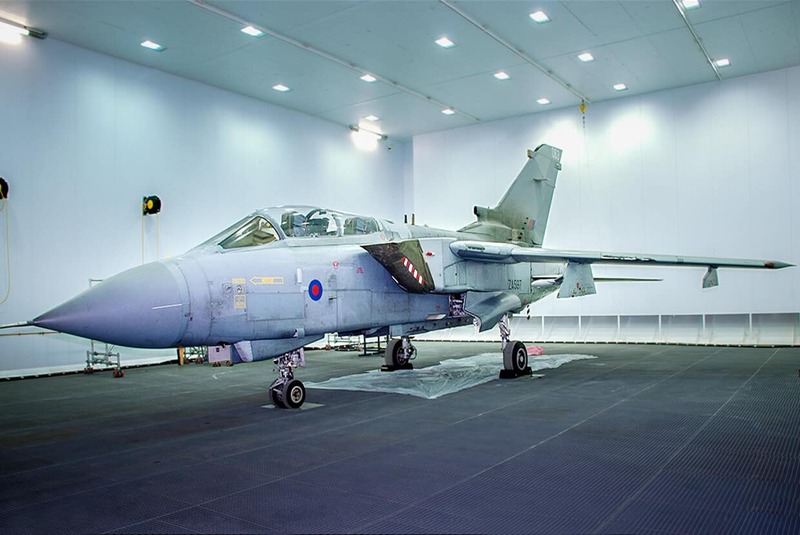 Combining elevated temperature control with an advanced air jet system enables our spray booths to dramatically reduce processing times, meaning work through-put capacity is as much as double that of conventional spray booths. 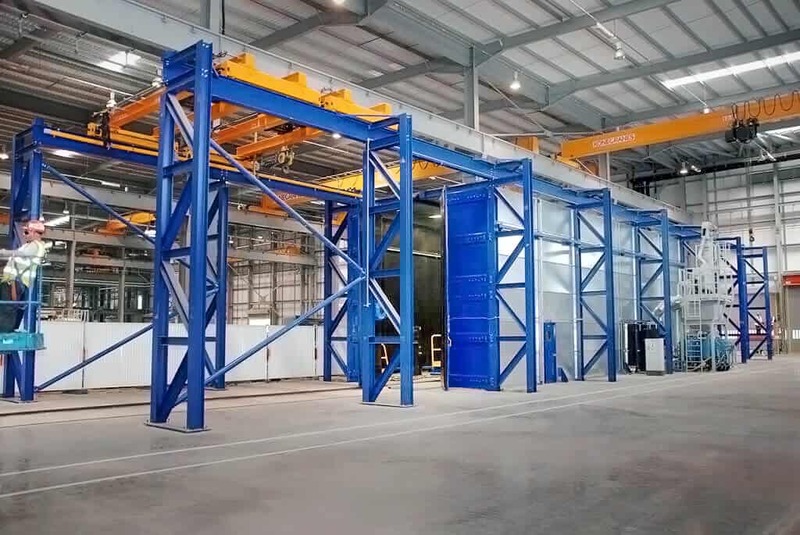 Every Airblast Europspray spray booth installation is designed to meet the specific needs of each individual application, and is suitable for both manual and/or robotic paint application. Airblast incorporates the WIWA FlexiMix II and DuoMix plural component systems when both coating and laminating in the wind energy industry. The unique patented features of WIWA pumps ensure high reliability and durability maintaining the highest productivity and consistency. 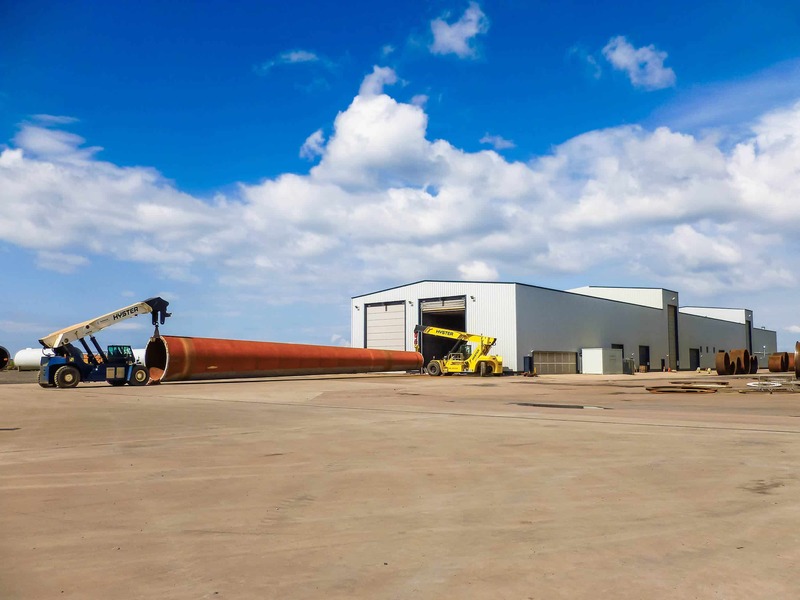 For more information about our wind turbine blast and paint facilities, please call our team on +44 (0)1778 560 650 or get in touch with us via our Contact page. 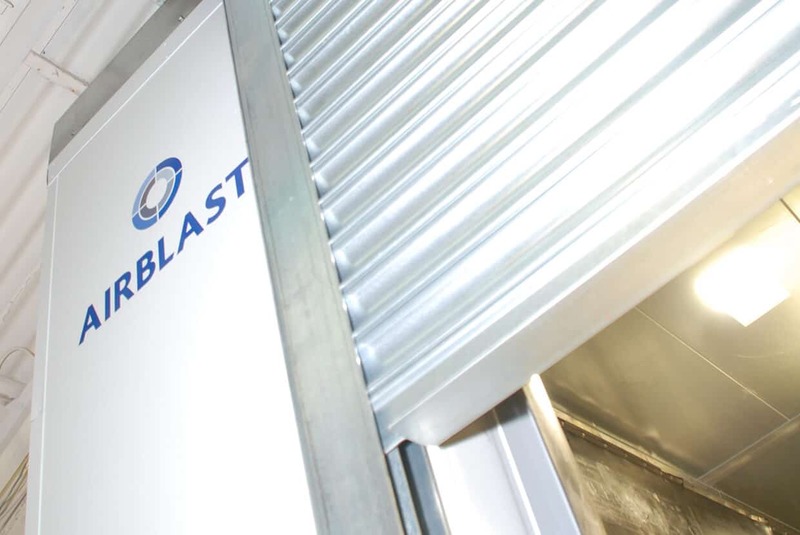 Modular systems from Airblast Eurospray offer a flexible and customisable approach to blast room creation. 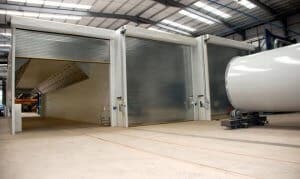 Weatherproof blast rooms utilise the structural steel of a portal frame building to replace the blue 'diaphragm' plates seen on our modular blast room. 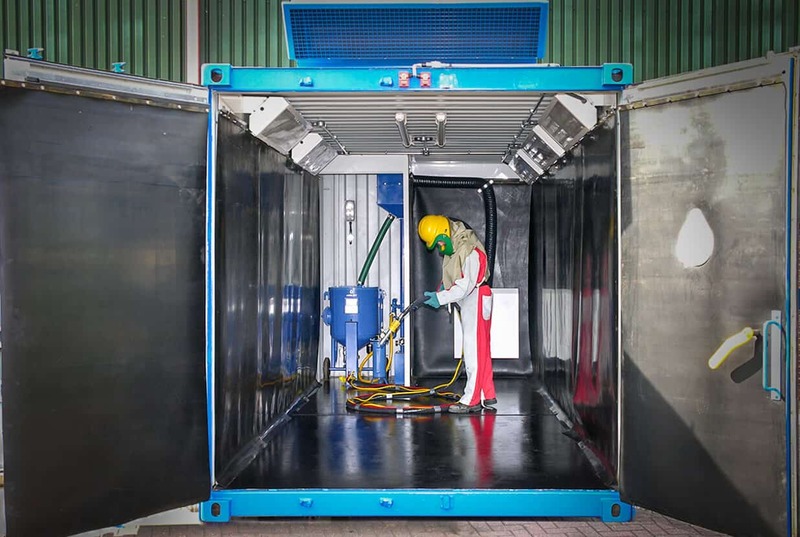 Airblast Eurospray's innovative Airlift 4000 uses inflatable bags, requires no electricity, and has no hydraulic moving parts, making it ideal for working at height in blast rooms.